New Friends and Bacolod Masskara wins on ShowTime weekly final! I just want to post here this day after I watched the new rival of GMA's Forever Eat Bulaga, the afternoon's show dated last Saturday March 17, 2012 which is the ShowTime - "This is our show, this is our time, it's SHOWTIME!". Since our TV's signal/reception was weak enough not to display channel 7 GMA network where I supposed to watch Forever Eat Bulaga, I decided to watch the weekly showtime kapamilya, anyway, I didn't regret it because the show was very entertaining, maybe I was just lucky at that day and waiting for the available replacement good antenna for me and my family to watch the Eat Bulaga show. Back then, I think all the weekly group entries will deserve an all round applause as they were both entertaining and even great performance for them as they showcased their different level of talents. The team entries were Zilent Overload, New Friends, Bacolod Masskara, and I can't remember the other group entries which I only remember is their tremendous show they had revealed in the crowd. It was so exciting! I hope you guys watch the said showtime weekly final. Revealing the weekly final winners of ABS CBN's showtime, they both got the perfect 10 from Vice Ganda, Jhong Hilario, Zanjoe Marudo, and again, I can't remember the two judges since I wasn't a pure fan of showtime since Cebu's Pride "Kingz Gambit" doesn't had the place to win the 4th Showtime Grand Finals dated last December 2011. The two final winners that received the perfect 10 and most numbered of 10's coming from the madlang people were the winners all from region 7, the "NEW FRIENDS" of Minglanilla, Cebu and the "BACOLOD MASSKARA" of Bacolod, Negros. I believe they deserve what they got, they were very an entertaining group. I'm just hoping, that they will get into the 5th showtime grandfinals and be one of the strong contender finalists. More hopes, that the 5th showtime grandfinals will judge and announce the winner according to who will deserving to win that can give power to the madlang people and to the Filipino and foreign fans watching from Philippines and all over the world, respectively. That, they will not put the fans into dismayed just like what happen to the 4th grand finals - much better they had it on tied with "Astig Pinoy" and "Kingz Gambit!". But so to speak, we should accept the result whether we like it or not. 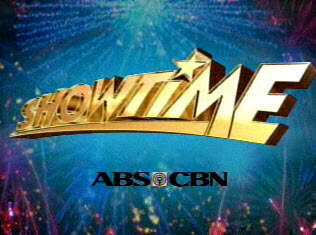 Congratulations once again to "New Friends" of Minglanilla, Cebu and "Bacolod Masskara" of Bacolod, Negros for both winning the Showtime weekly finals last March 17, 2012! Keep it up and more power! PS:Video replay of the winning performance will be available soon if possible. Thanks.